3 Comments on The best nickname we can come up with for a professional women’s hockey team is Beauts? Women from collegiate hockey programs can now rejoice as there’s a brand new four team professional league popping up that will actually fork out the money they deserve and pay them for their play. 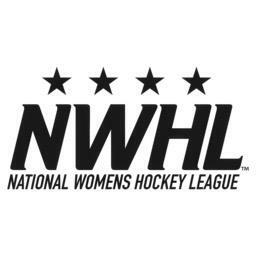 The inaugural season is set to take shape this coming fall with four teams shaping up the National Women’s Hockey League. This is an amazing step in the evolution that is women’s hockey. It’s counterpart, the Canadian Women’s Hockey League, has been around for quite some time now but it’s downfall is that it doesn’t pay their players. With the NWHL forking out the cash, I don’t really see a good future for the CWHL. Who knows, maybe they’ll merge but that’s the furthest thing from my mind right now. The four teams are situated in New York, Connecticut, Boston and Buffalo. Every team sounds like a crusher, like they’re not one to mess with. The New York Riveters emblaze the iconic image of “Rosie The Riveter” from World War 2 in front of the old New York Rangers liberty logo as their crest. Looks amazing and brilliant. Great job to the team’s brass for coming up with this. Marketing and merchandise will soar. As will the Connecticut Whale. The Whale already have a minor spot in hockey history when the AHL’s Hartford Wolfpack decided to change the team name to the Connecticut Whale between 2010-2013. Adopting the blue and green of the Hartford Whalers, the women’s Whale takes that same logo and flips it on its side to sport a “C”. Attachment to the Whalers franchise should adorn pride amongst the players. 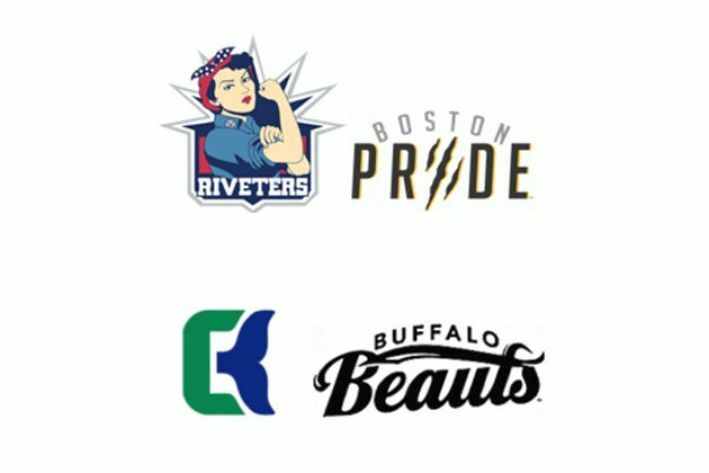 Speaking of pride, the Boston Pride will become little sisters to the CWHL’s championship winning Boston Blades. There isn’t too much of a logo yet but the name does instill confidence and glory to whoever takes the ice. Who, in this day and age, decided to call a professional women’s hockey team, the Beauts? Last time I checked this isn’t the 1950s anymore. Hockey isn’t figure skating. This is a rough and intimidating sport. Who is going to be afraid of the Beauts? In a way, it comes across as patronizing to me. Everyone remembers the movie A League Of Their Own right? (There ain’t no crying in hockey either Mr. Dugan.) That movie was based on the actual All American Girls Professional Baseball League. (These are grown women and they didn’t even have the audacity to put “women’s” in the league name.) They were a supposed replacement for Major League Baseball during the war. Those girls were looked downed upon and made fun of even if they were star athletes. Good thing we don’t have to play hockey in skirts. Christ. Let’s take a look at some of their team names: Milwaukee Chicks, Fort Wayne Daisies, Chicago Colleens, Springfield Sallies, Rockford Peaches, Kalamazoo Lassies, Racine Belles. How do those names garner any respect? Granted there have been some doozies in professional men’s hockey (Macon Whoopee anyone?) but there’s always been a double standard I guess. The only pro women’s ball league, National Pro Fastpitch or NPF, actually learned from their baseball ancestors mistakes. Today, the five team league employs such names as Racers, Charge, Rebellion, Bandits and Pride. They all sound great, intimidating and not patronizing at all. Of course this is just one female athlete’s opinion. It’s not like anybody is going to boycott playing for the team because of the name. I mean hey, I’d play for them too if I was getting paid for playing a sport I love. I’d have to learn to love that name I guess and hell, it might not ever happen. In closing, it’s time to smarten up around women and sports. We’re not dainty little toothpicks. This is hockey, not a tea party. A “beaut” or “beauty” in hockey means. That goal was a beaut. Wayne Gretzky is a beauty eh. Did you see that beaut dangle past those pylons. It has nothing to do with physical appearance. My friend, do you really think that I don’t know that? I’ve been around sports involved my whole life and I played competitive fastball for 20 years. My brain is a hockey encyclopedia. You haven’t been following me for very long I take it. In a female perspective and to the unseasoned sports fan, its not taken that way and that’s the angle I’m going with on this article.